In order to make sure that your new employees perform to the expected level, you need to give them proper training – from day one onward. Onboarding new employees is not always easy, as it requires you to help them understand how your company operates and help them adjust in terms of work schedules and company culture. In this post, we will look at how to onboard new employees and methods that you can use to effectively communicate company expectations and help new hires grasp their responsibilities and excel in carrying them out. An introduction to the company is essential to a new employee. 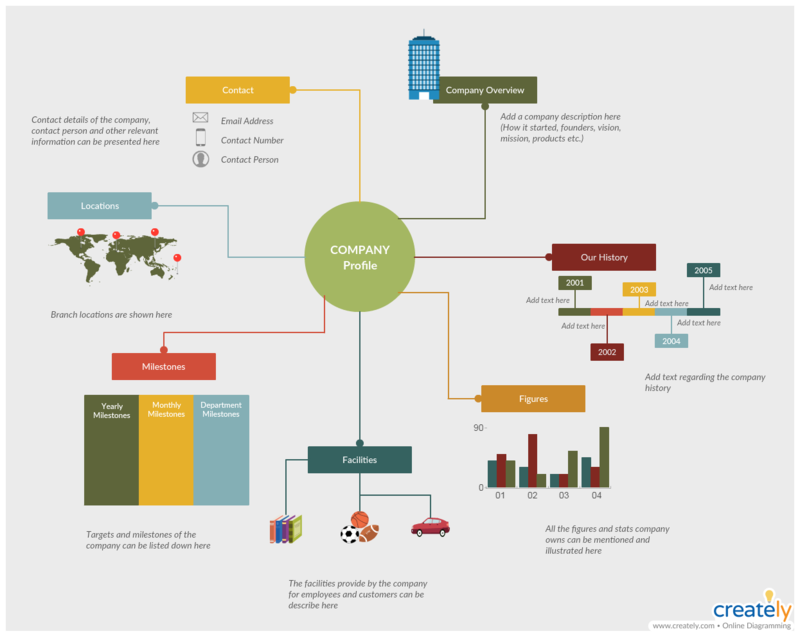 In addition to explaining the company mission and vision, you can also highlight the key achievements of the company. This will help set the background for the training session ahead. 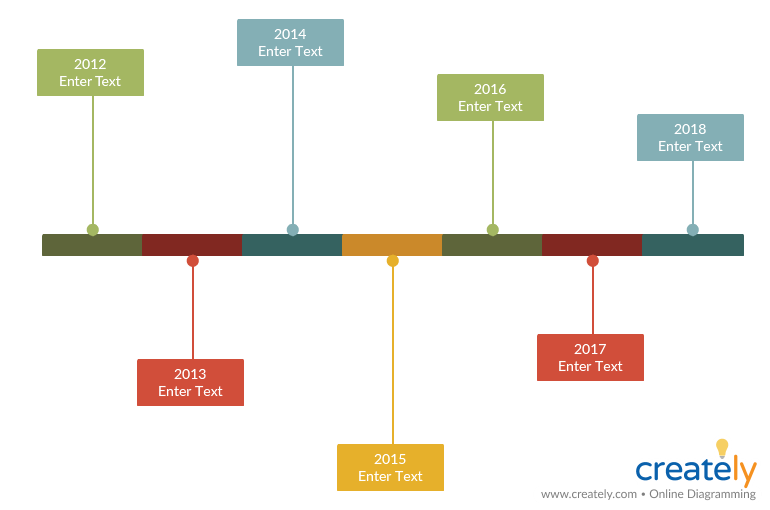 You can use a company timeline template or a company profile template like the ones below or a business model canvas to base your discussion about the company. Org charts are a handy way to highlight where your new employees fit into the department or the organization. The chart can also be expanded to include such information as employee responsibilities, skills, contact information, projects they are working on etc. in addition to the title they hold. New employees can use this to get to know the people they’ll be working with and the reporting relationships within the department. It might take new employees to get used to the workflows and the various processes within the organization. While they should be given a proper practical training in carrying out the process steps they are responsible for, flowcharts or process maps can help them understand and familiarize themselves with the flow of the processes quickly. With swim lanes, you can specify the roles or the departments responsible for each process step as well. Not all employees are technically savvy, and they might need help from the IT department when setting up their network and computer stations. 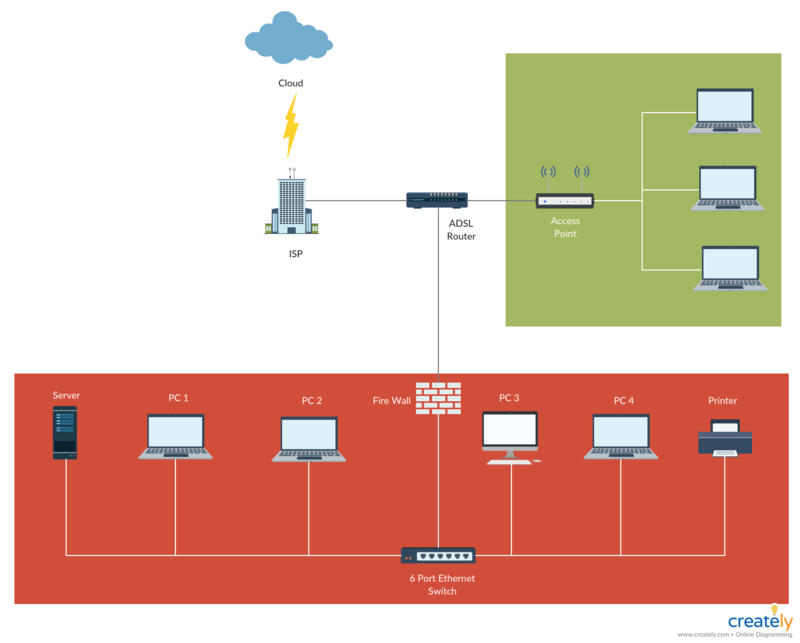 A detailed network diagram can also assist them in setting up their network by themselves (if the process is not too complicated for them to understand). The benefit of having a network diagram explaining how to set things up is that they can always refer to it whenever they want and not rely on the support of the IT department. During an employee training program, there are many topic areas to discuss. But if you present everything in boring documents or handbooks that span for pages, employees might lose interest and forget things easily. Plus they might not refer back to the text. 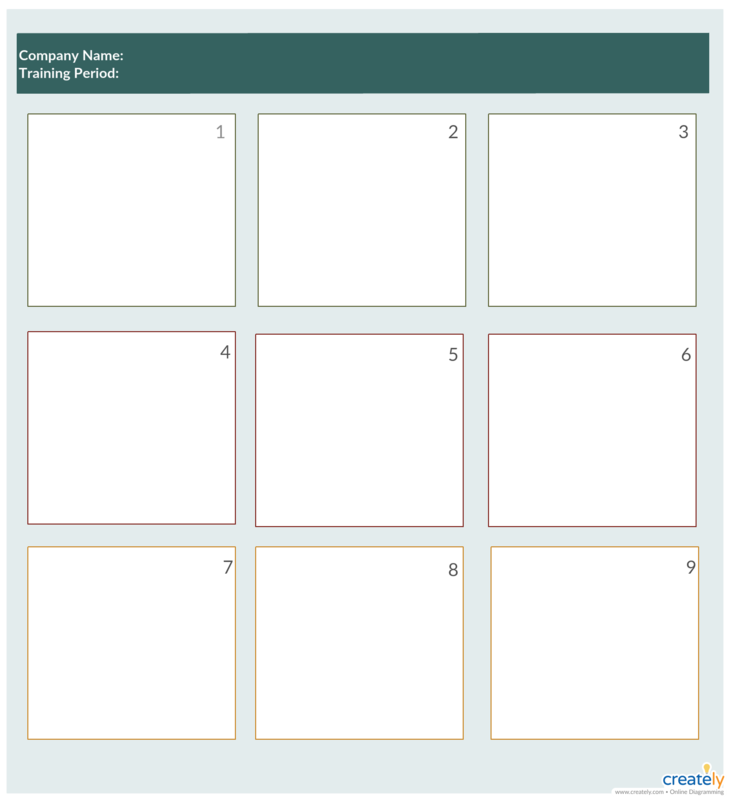 Instead, you can use videos, storyboards or infographics to discuss complex topics. For example, you can use a storyboard or a video to show how your new sales executives should interact with the customers step-by-step. During the training period (and after), there are a lot of resources the new employees will need to refer to. Some of these might be company policies, HR policies, process manuals, leave policies etc. If there’s one place for them to access all these internal and external resources, it would make things so much easier. 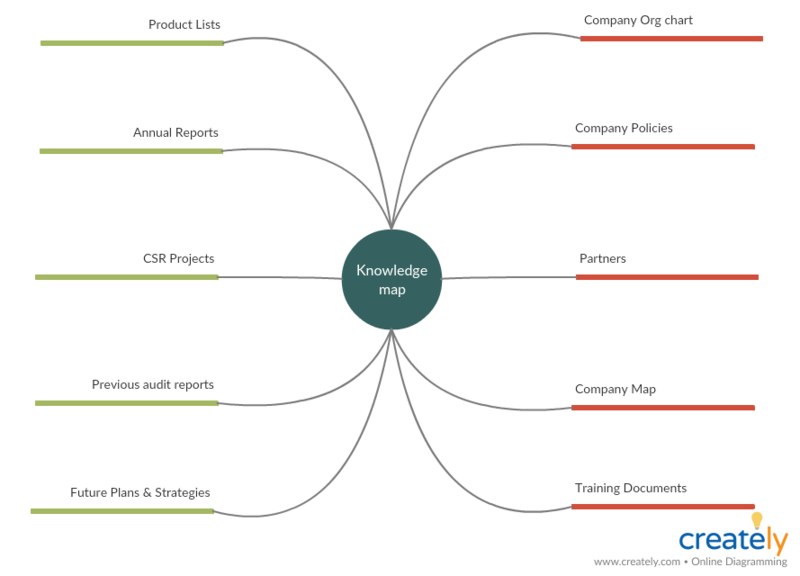 Use a knowledge map like the one below so you can use it as a central location to store necessary resources for the onboarding new employees. Tip: Add the link to resources to the shapes that represent the branches of your knowledge map. Once you click the shape, it will open the resource in a new tab. 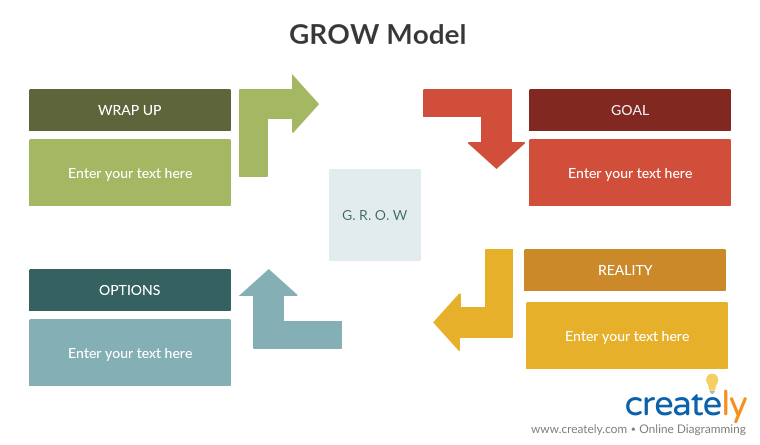 GROW model is a tool used to structure coaching sessions. It helps new employees learn through experience. With it, you can help your trainee understand his goals, his current situation in terms of performance, the available options to overcome the obstacles he has to reach his goals and then help him create an action plan based on one of the options. Do You Know Any Other Techniques for Onboarding New Employees? What we’ve discussed above are simple and effective employee training methods that you can use to train new hires as well as current employees in your organization. These techniques take a visual approach towards simplifying tasks and removing challenges faced by new employees. What other methods for onboarding new employees do you use within your organization? Do let us know in the comment section below. Want to improve your organizational performance? Learn about more techniques to improve employee performance with our visual guide to improving organizational performance.